I’m not sure how many of you guys are fans of Shark Week or how many of you have heard of the catastrophe, the documentary Megalodon: The Monster That Lives, which premiered on the first day of Shark Week last August (2013). I’m a marine science major at Stockton with a geology minor, and after this documentary aired, I cannot tell you how many people asked me if megalodons are alive and prowling the oceans today. Let’s start from the beginning. Last year for Shark Week, there was a great deal of hype around this megalodon documentary that was going to kick off the week; the documentary I previously mentioned. As soon as this program began, I was skeptical of it. I’m not quite sure what exactly it was about the documentary that made me hesitant to believe it initially, but I think it was just how the marine biologists and people in the documentary spoke about things. Vague I know. 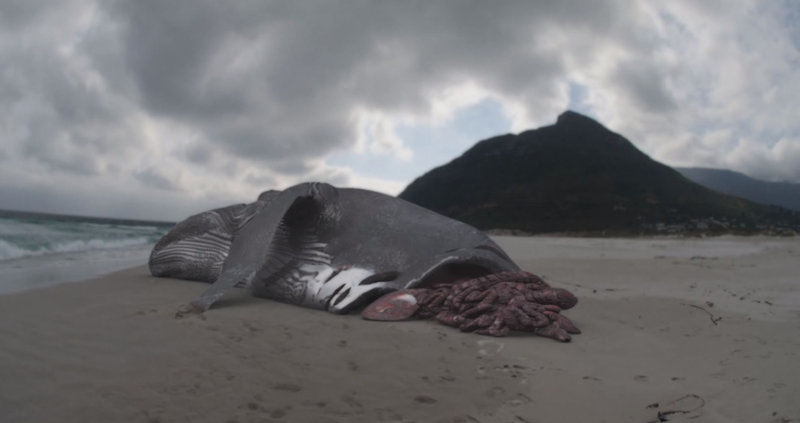 Basically what happens in the documentary is a marine biologist, Collin Drake, is called in to find out what happened to a fishing boat that sank of the South African coast. However, when Drake is initially introduced in the film, all it says is his name, Collin Drake, and underneath it just says Marine Biologist; there’s no indication of where he works or where he received his degree in marine biology. Also, I would think that a so called expert that is always called in to handle these kinds of situations, as Drake claims to be, would likely have a doctorate degree from somewhere. Most experts in a field hold doctorate degrees. Regardless, Drake and his team go on to use different techniques to discover what this huge predator is that they are trying to find. One of his teammates, Mike Bhana, has spent his life filming and tagging all kinds of species of sharks all over the world and is therefore an expert at underwater photography. They set up underwater cameras and use a seal decoy to try and attract a very large great white shark commonly spotted in the area that is nicknamed “Submarine”. However, the accounts of Submarine used as evidence in the documentary are all witness, anecdotal accounts of the shark. Drake relies on testimonials as his evidence that this shark is around. Testimonials are a sign of pseudoscience, as discussed in the textbook. Later on in the documentary, another marine biologist, Madelyn Joubert, is brought in as another expert who has been researching predatory shark behaviors for the past nine years, according to the film. However, same as Drake, she is introduced with her name and underneath it only says marine biologist. An expert who has been doing research for nine years that doesn’t have a degree shown or an identification of an institution she’s working for seems odd to me. One of the other important signs of pseudoscience is the appeal to false authority. Both marine biology experts brought in to work on this case are not marine biologists. They are actors. Therefore, there is no authority at all, let alone a false authority. Another sign of pseudoscience is extraordinary claims without convincing evidence. All of the evidence used in this documentary to prove the existence of the still living megalodon is fake. The first piece of evidence is given by a shark eye volunteer, working in a lookout tower above the beach to spot sharks in the area. She gives her testimonial about what she saw and then has a photo of the dorsal fin of the shark near a whale carcass. The next photo evidence used was from World War II when German u-boats were apparently using ports in Africa. 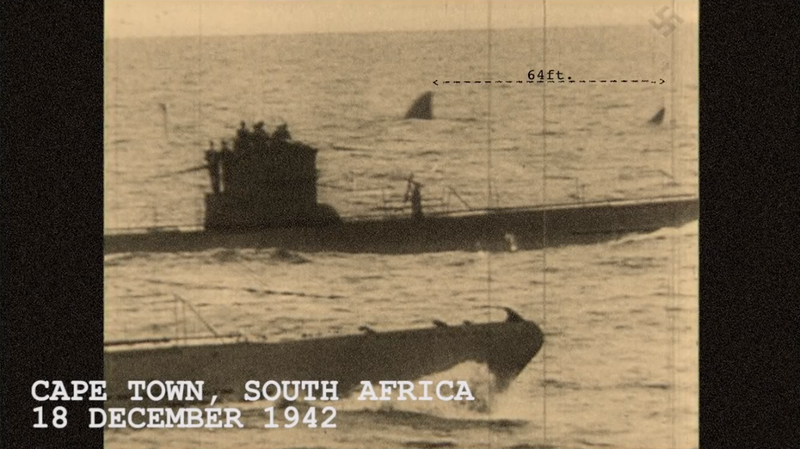 There’s a photo of two u-boats with a shark dorsal fin in the background that had never been noticed before. Footage and photos from Hawaii were found of a whale with the back half of its body gone with some of its internal organs hanging out. According to the blog of a marine science student in Hawaii, nothing like this has ever washed up on the beach anywhere in the islands. If you want very thorough reasoning on why none of this evidence is legitimate and why megalodons cannot exist in today’s oceans, go to this website and read what this gentleman has to say. MEGALODON WAS A REAL SHARK. LEGENDS OF GIANT SHARKS PERSIST ALL OVER THE WORLD. THERE IS STILL DEBATE ABOUT WHAT THEY MAY BE. 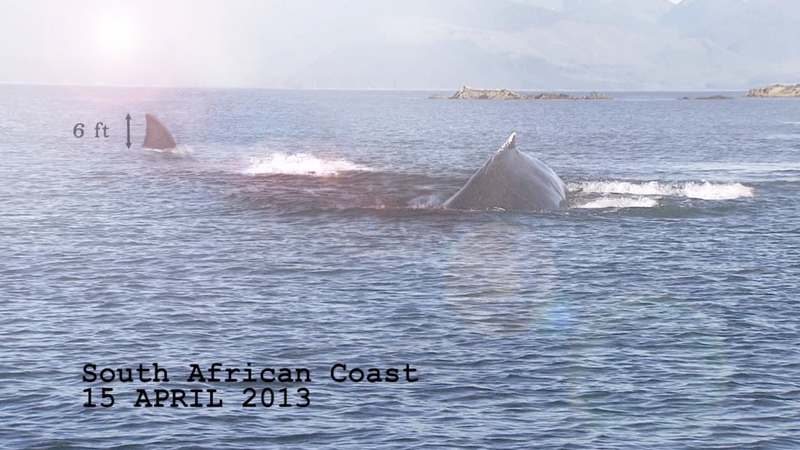 I lost a great deal of respect for the Discovery Channel after they showed this documentary. I've gotten into debates with people about whether or not the information on here is true or false, and I've heard some interesting arguments. I’d definitely like to hear anyone else who has thoughts on this too! Here’s a link to the actual documentary for anyone who hasn’t seen it and would like to! Apryle, I loved this post! Definitely "you" haha. I agree with your ending statement though, that you lost respect for the Discovery Channel after they showed this documentary. Not that I have specifically seen this documentary, but because I have seen others that disappoint me in their seriousness of science. It is almost insulting to real researches and marine biologists all over the world! I think that scientists, film makers, and writers who are wasting their time making these stupid documentaries should be ashamed, because they could be using their intelligence and knowledge towards something that actually has worth and meaning to the scientific community ! I actually watched this special last year during shark week, I sort of felt obligated to because of all the hype it was getting, but I truly was disappointed. My biggest issue with the special was during the beginning scenes when you witness the boat under attack. I am just curious as to how they got that film and more importantly how it was still viewable after sinking to the bottom of the ocean. Another problem I had with it was, in my opinion, most of the photos almost looked fake. I never really found myself actually buying into or really believing these photos or footage. Was it a cool and interesting special, yeah I think so, but there is no way they could get me to believe that off of what they showed. My girlfriend on the other hand is a little easier to persuade, she still to this day swears that Megalodon is real and she won't be convinced otherwise haha.